Princess Tessy was involved for 6 years with the Luxembourg Army, where She has received training in a combat unit. She volunteered to take part in the United Nations Mission in Kosovo as part of the BELUKOS 13/15 detachment, from March to August 2004, being the only female member of Her draft. She received the UN medal of recognition for this mission. Besides, from 2005 to 2009 Princess Tessy attended several continuous trainings and lectures relating to the topics of “Education and psychology”. She received a diploma in the educational sector and several certifications in Psychology. After spending two years in the United States during which Princess Tessy studied occupational therapy Princess Tessy has now moved to England, where she works at DS-48 as Director of communications. 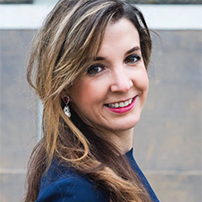 Princess Tessy is very much involved in charities and NGOs acting in favour of people with specific needs, She is actively taking part in charitable events in Luxembourg as wells as in London. It is five years now that she has joined, as an active member, the Luxembourg “Groupe de Support Psychologique” (GSP). Princess Tessy graduated from Richmond, the American International University in London with a BA in Art in International Relations. She got awarded 5 times the ‘Deans’ List’ throughout her undergraduate career, which is a recognition of academic excellence. Moreover, Princess Tessy graduated from SOAS University with a MA in the field of International Studies and Diplomacy. She received a merit for her MA dissertation on Biological Terrorism and Violent Non State Actors. Princess Tessy has also launched her own NGO called Professors Without Borders and is the Global Advocate for Young Women and Adolescent Girls at UNAIDS, as well as an Associate Fellow at Chatham House, a globally recognized think tank patronized by the Queen in the centre for Global health and security.